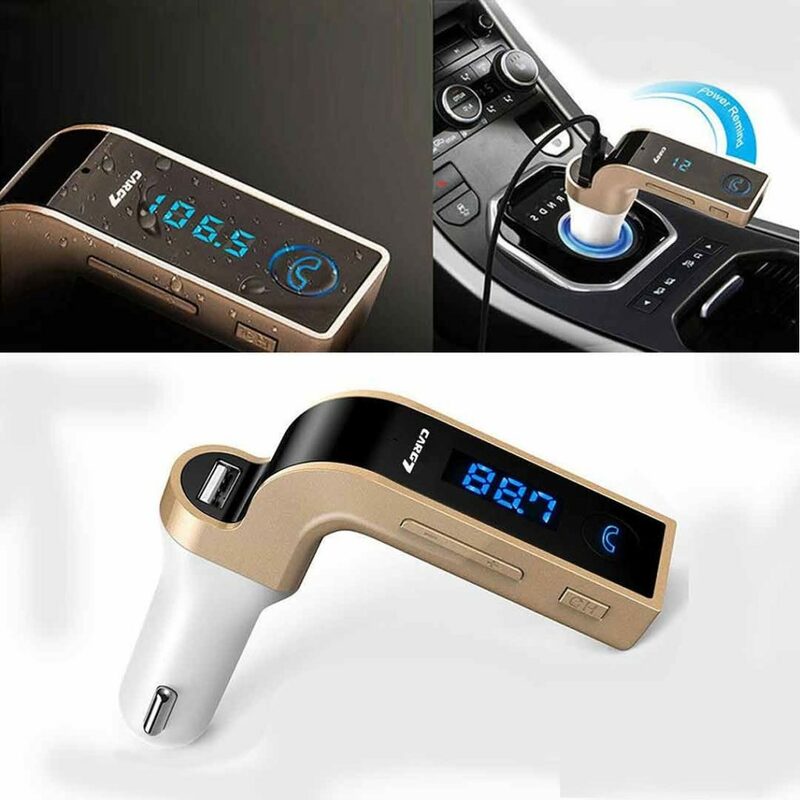 The G7 Bluetooth Car FM Transmitter with MP3 Player / Hands-free / USB Charger / TF has a beautiful curved design that complements your car interior. It perfectly integrates FM transmitter with MP3 player, hands-free calls and USB charger, offering an easy and safe road trip experience. It can read and play music files from TF card or USB flash drive and stream the audio to car stereo system. Inbuilt mic and Bluetooth allow for convenient handsfree calls and it will automatically return to music play after the call ends. Buy this Car G7 Bluetooth, MP3 Player, Hands-free, Car USB Charger in Pakistan for Rs. 799/- exclusively at GetNow.pk with Payment on delivery and 7 Days warranty offer. We have a broad range of Household Products available online at the most competitive prices. 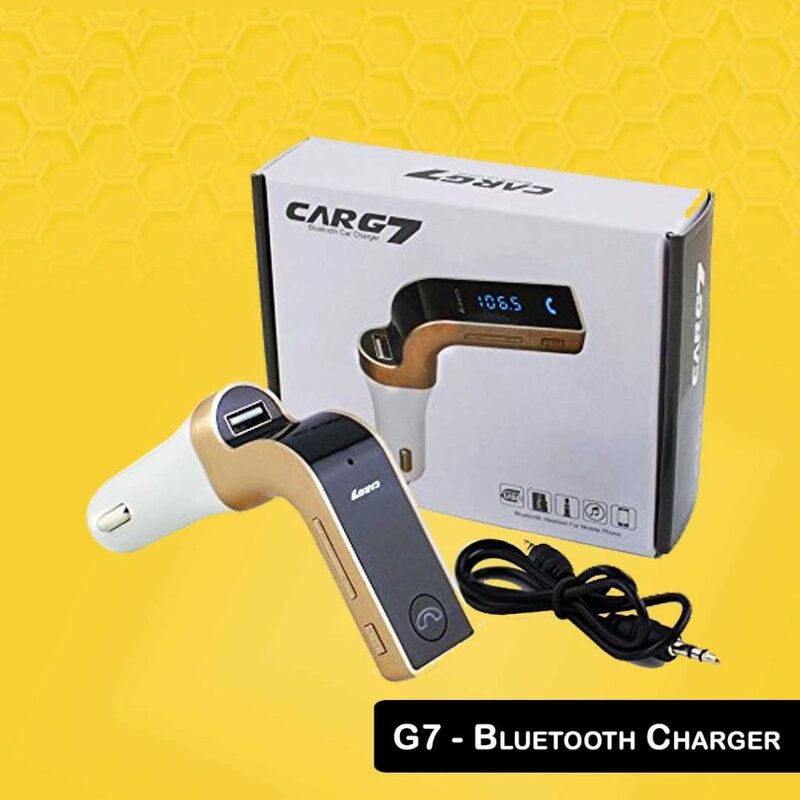 GetNow.pk is offering the best Car G7 Bluetooth, MP3 Player, Hands-free, Car USB Charger price in Pakistan with fast shipping to all major cities including Karachi, Lahore, Islamabad, Rawalpindi, Gujranwala, Multan, Sialkot, Faisalabad, Peshawar and all across Pakistan.